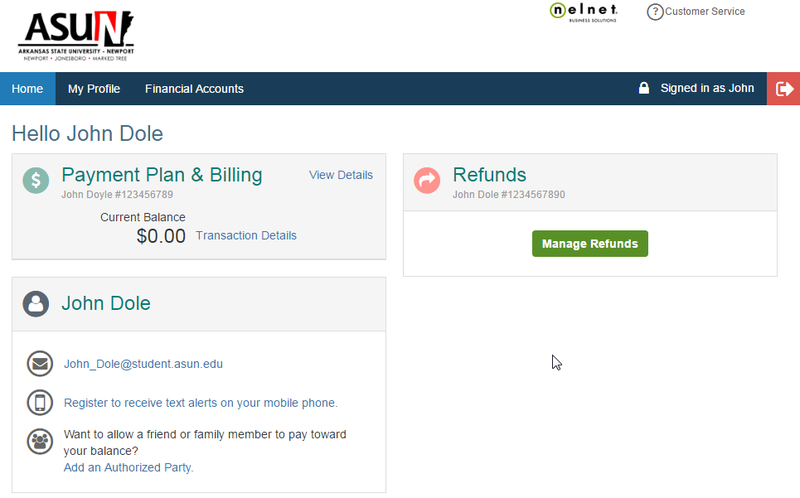 Log in to https://mycampus.asun.edu and visit the “Manage My Account” section. Click on the link that says “Click here to View/Pay Your Bill”, Click on the Green “Manage Refunds” button. Select one of the three options, Bank Account (Direct Deposit), Re-loadable Debit Card, or Paper Check. Follow the instructions to load the appropriate information. Please note that the paper check option will be sent to the address that is on file with ASU-Newport at the Registrar’s Office.